We have this dinner periodically when we feel like treating ourselves . 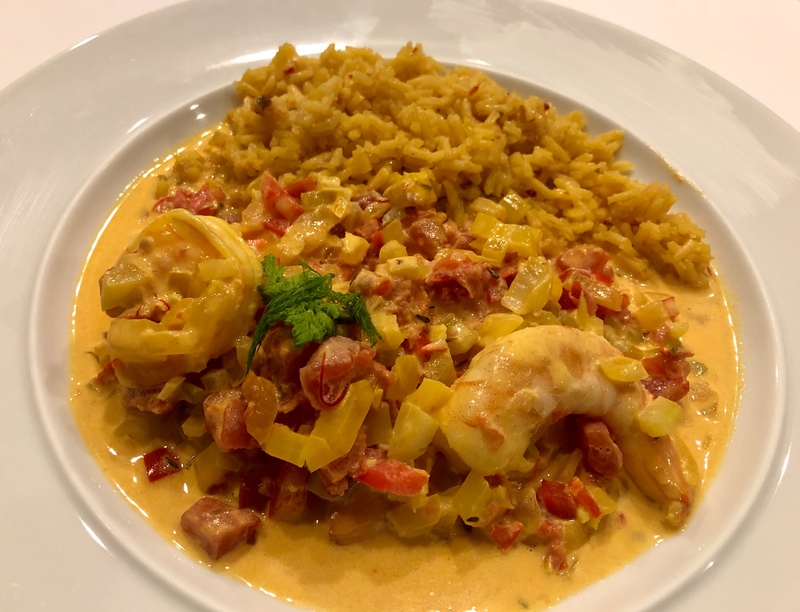 The shrimp is bathed in a Pernod and white wine cream sauce and is flavored with a brunoise of vegetables and saffron. The recipe is in my post from 11/5/18. This is really rich and very tasty but you have to be willing to cut up a lot of vegetables into tiny pieces. This entry was posted in French, pescatarian, rice, Shellfish, Vegetables and tagged Pernod, rice, shrimp. Bookmark the permalink.